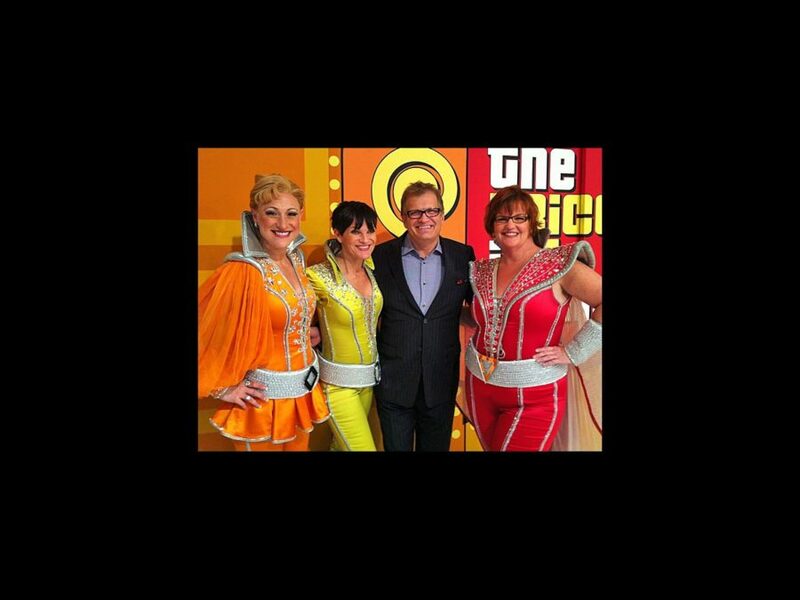 A few dancing queens decided to drop by the set of the classic game show The Price Is Right on April 6 to showcase some prizes and maybe even drop a couple Plinko chips. Kaye Tuckerman, Mary Callanan and Alison Ewing, who play Donna, Rosie and Tanya, respectively, in the national tour of Mamma Mia! were on hand to help host Drew Carey unveil a round of prizes during the Showcase Showdown. Belting out ABBA’s dance floor favorite “Dancing Queen,” the ladies presented a VIP experience to see Mamma Mia!, a trip to the Greek Islands (where the musical takes place) and a sailboat. Check out the clip below of the Dynamos doing their best prize presentations, then get your tickets to see Mamma Mia!